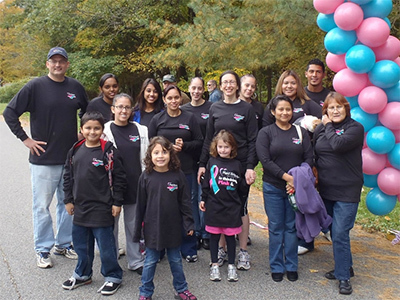 Since 1989, Maid Brigade’s mission in Fairfield County, CT is to provide clean, healthier homes for our neighbors. We are locally owned and operated with the knowledge and support of a nationally recognized brand that’s been at the forefront of the residential cleaning industry since 1979. Our team is proud that products used by our maids are Green Clean Certified® which means that the cleaning equipment, products, and processes used are safer for your family, our maids, and the environment. Only the best candidates are hired, and we provide extensive training before they step foot in your home. Each member of our team understands the importance of earning your trust, and we strive to exceed expectations with every interaction. Call us today and learn more! Our philosophy is Listen. Clean. Listen. This simple, three-step process is the way we turn a routine house cleaning into a sparkling Maid Brigade clean. Before our award-winning Fairfield County maid service can deliver the clean you want, we have to ask what it means for you. Whether its daily, weekly, biweekly, monthly, or on-call cleaning, our staff starts by listening to you. Our trained, licensed, and insured maids then create a personal housecleaning checklist to ensure that every need is met. Every home is unique and its residents special. We are committed to taking care of both! What other cleaning companies call a finished job is just the start for us. Our professional house cleaning teams will make your beds, spot clean switch plates, and even wipe clean the inside of your microwave oven. If something’s on your personal cleaning checklist, we’ll put it on ours. We aim to please! Not only will our maids clean your home to a sparkling shine, we do it with healthier solutions and equipment. From HEPA-filtered vacuums and microfiber mops to our exclusive Green Clean Certified green house cleaning processes and solutions, your home will be a clean, healthier place for your family. No other maid service can match what we offer. As Maid Brigade’s 2005 National Franchisee of the Year, we continually strive to improve. To keep us on top in the local market and routinely exceed expectations, our maids leave a quality card with you following every home cleaning visit. We welcome your feedback! Most of these come back full of praise, but no matter the response, we take each one seriously and apply the lessons learned. These are our Three Simple Steps. If you’re ready to see what Maid Brigade can do for your home, call our Fairfield County, CT office today for a FREE, No Obligation Quote! Simply want to learn more about our offerings? No problem. Feel free to call us and our knowledgeable staff is happy to answer your questions. Areas Serviced: Bethel, Darien, Fairfield, Greenwich, New Canaan, Norwalk, Southport, Stamford, Redding, Ridgefield, Weston, Westport, and Wilton.